“Carrier” means the person appointed by us to affect delivery of the Goods. “Customer” means the party to whom the Goods are sold by the Retailer. "Goods" means our product ranges. “Order Acknowledgement” means the form supplied by us to you accepting your Order Form and confirming your address details, the Goods ordered, the Delivery Address and where applicable the Customer’s details. "Order Form" means the order form received by us from you detailing the Goods, your details, the Delivery Address and where applicable, the Customer’s details. "Price" means the price payable for the Goods as set out in the price lists current at the date of the Order Form accepted by us. "Delivery Address" means the site to which the Goods are delivered. 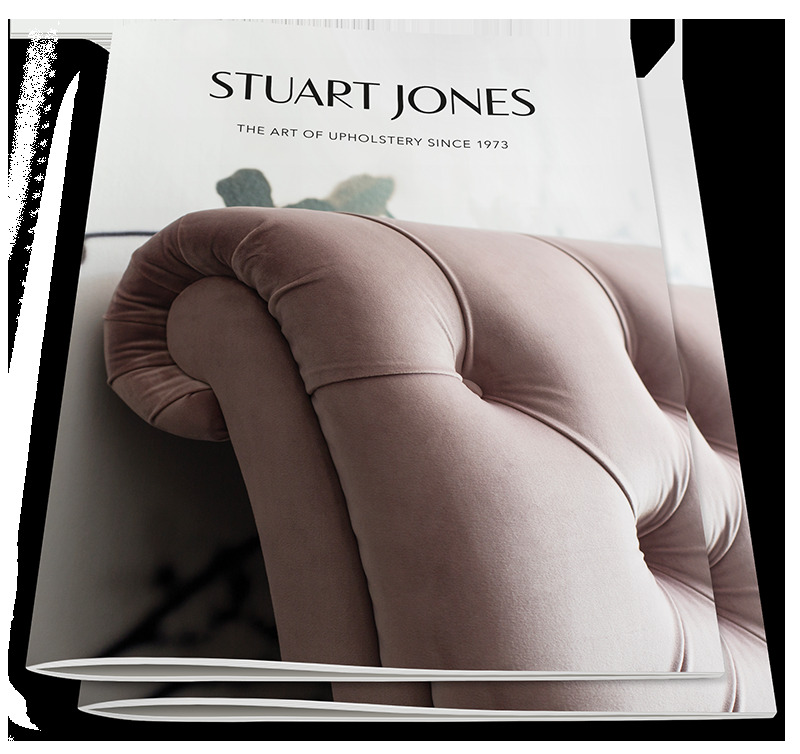 'we', 'us' or 'our' is a reference to Stuart Jones Limited (Company number 1321838) whose registered office is at Artex Avenue, Rustington Trading Estate, Rustington, West Sussex, BN16 3LN trading as Stuart Jones Furniture. 'you' or 'your' is a reference to the Retailer placing the order for the Goods. 2.1 Unless expressly stated to the contrary by us in writing these Conditions shall be deemed to be incorporated into any contract between you and us and shall be deemed to override any terms or conditions which are inconsistent with them which you may attempt to introduce. 2.2 Unless otherwise agreed in writing by us these Conditions supersede any earlier sets of conditions of sale appearing on our price list, quotation forms, order forms, invoices or on any other document whatsoever. 2.3 We shall not be obliged to question the authority of any signature stated to be made by you or on your behalf that is affixed to any credit application, order, acceptance of delivery or other document whatsoever. 2.4 Neither you nor us shall be bound by any variation, waiver of or addition to these Conditions except as agreed by both parties in writing and these Conditions constitute the full understanding of the parties and are a complete and exclusive statement of the terms of their agreement. 2.5 If any of the provisions of these Conditions are held by any court or other competent authority to be void or unenforceable in whole or in part, the other provisions of these Conditions and the remainder of the affected provisions shall continue to be valid. 2.6 An Order Form shall not be deemed to have been accepted unless and until we have formally supplied to you the Order Acknowledgement in which event it shall constitute a contract between you and us for the supply of the Goods in accordance with these Conditions. To employ such number of experienced personnel in promoting sales of our Goods as we consider reasonably necessary or desirable having regard to the requirements of our Business from time to time. Not to make any representation or to give any warranty or guarantee whatever, whether express or implied, in connection with the Goods other than as contained in any advertising matter from time to time provided by us or in accordance with any express guarantee given by us to you. To inform us forthwith of any trading in Goods which comes to your attention and which is carried on by a person not appointed by us to be an authorised Retailer and to inform us of any matter or occurrence relating to the Goods which comes to your attention and which would or might reasonably be expected by you to be detrimental to our interests. Not to incur or purport to incur any liability on our behalf or in any way pledge or purport to pledge our credit or accept any order to make any contract binding upon us without us first approving in writing its terms. 3.7.2 To ensure, before reselling Goods to any trade customers, that the potential trade customers are indeed authorised by us and to consult with us where there is any doubt as to the status of the potential trade customer. 3.7.3 To keep copies of the invoices of such sales for twelve months. You shall be responsible for ensuring that we, our employees and contractors have access to the Delivery Address to deliver the Goods. 4.1.3 to provide and promptly update information about the Goods. 5.1.3 repairs have not been attempted other than by us. 5.2.2 to cosmetic deterioration resulting from fair wear and tear (including the natural ageing of constituent materials). 5.4 This Guarantee is additional to the Customer’s and to your statutory rights and does not affect those rights in any way. 6.1 Without prejudice to Condition 15.2, we shall be entitled to invoice you on dispatch of the Goods. 6.3 Notwithstanding Condition 6.2, we may, in accepting an Order Form for any Goods, demand that the Price is payable in full in advance of or upon delivery or impose such other payment terms (including the payment of a cash deposit) as we see fit, and such payment terms shall be incorporated into the order. 7.1.4 to terminate the relevant order. 7.2 For the avoidance of doubt you shall not be entitled to set off any claim for payment you may have against us, unless such claim has been upheld by a court. 8.1.1 If you go into liquidation either compulsory or voluntary (save for the purpose of reconstruction or amalgamation) or if a receiver is appointed in respect of the whole or any part of your assets or if you make an assignment for the benefit of or composition with your creditors generally or threaten to do any of these things or any judgment is made against you or any similar occurrence under any jurisdiction that affects you. 8.1.2 If you engage in any conduct prejudicial to the Business or the marketing of the Goods generally. 8.1.3 In the event of a breach by you of any of the provisions of these Conditions we may serve notice requiring the breach to be remedied within 30 days (a 'default notice') but nothing in this clause shall require us to serve notice of any breach before taking action in respect of it. All prices quoted are exclusive of Value Added Tax except unless otherwise stated. You shall pay VAT in addition to any sums due to us under these Conditions where the same is chargeable. 11.1 Where a payment is late as defined in the LPCD (Interest) Act 1998, the interest rates set out in the LPCD (Interest) Act 1998 as amended from time to time shall be applicable. 11.2 In the event that Condition 11.1 is not applicable we reserve the right to charge interest (both before and after any judgment) at the rate of 3% per annum above the current base rate of the Bank of England on all outstanding payments from the date due in accordance with Condition 7 and up to and including the date on which final settlement is made in full. 12.1 Any dates stated by us for the delivery of the Goods are approximate only and do not form part of the order and you agree that the time of delivery shall not be of the essence of the order. The Goods may be delivered in advance of any quoted delivery date upon giving reasonable notice to you and the Customer (if the delivery is to be at the Customer’s premises). 12.2.1 Your signature on the delivery note shall constitute acceptance of the Goods within the meaning of section 35 of the Sale and Supply of Goods Act 1994 and the Goods shall be deemed to be in accordance with the order. 12.2.2 You shall provide our personnel with full and unrestricted access to your premises for the purpose of delivery of the Goods and shall ensure that such premises are clean, safe, cleared for delivery and comply with all relevant health and safety legislations applicable at the date of delivery. 12.3.1 Subject to our agreement, we may be able to deliver certain Goods direct to the Customer’s home address in mainland England, Wales and the Scottish Lowlands. The Scottish Highlands and the Islands are possible, prices on request. Any additional delivery charge will be payable at our current rate on the Order Acknowledgment. 12.3.3 The Carrier is able to provide an SMS text message to the Customer one working day prior to delivery of the Goods. If this is required a mobile number of the Customer must also be provided by you on the Order Form. 12.3.4 Please ensure that all information is clear and precise. 12.3.5 Once the Order Form is processed we will provide an Order Acknowledgement, it is your responsibility to ensure that the Customer and product details are correct. Failed deliveries as a result of incorrect information provided by you will be charged at the full price together with any collection costs incurred by us. 12.3.6 Any date specified by us prior to that is an estimate only. Specific delivery dates and times cannot be agreed when placing your order. 12.3.7 Items will be delivered by us boxed to the Customer’s door. The Customer will need to unpack and position them. Some self assembly may be required. 12.3.8 A signature will be required upon receipt of the order. Any damage to packaging must be noted on the delivery note. Claims cannot be made against us or the Carrier where this does not occur. The Customer must not leave goods wrapped or unchecked as we cannot accept returns if not reported to us within 3 days of delivery. 12.4 We will raise an invoice to you together with a copy of the proof of delivery provided by our designated Carrier. Payment should be made in the usual way according to these Conditions. 12.5 We will accept a change or cancellation of an order that has not already gone into production. Please contact the sales office to check the current status before accepting an amendment or cancellation by the Customer as we reserve the right to make a reasonable charge for Goods that have already gone into production. Once dispatched a cancelled order will be charged in full and a restocking charge will be made. 12.6 All requests for returns will only be accepted if goods are faulty and these must be reported to us within 3 days of delivery. Transit damaged items must have been signed for as damaged at the time of receipt. Returns requested for any other reason will be your responsibility. 12.7 Should we be required to collect any Goods on your behalf a reasonable charge will be applied. 12.8 In the case of direct home delivery where Goods are faulty, we will collect the Goods direct from your Customer at our cost, and return the item to our factory for assessment. All Goods collected must be in the original packaging and credits will only be issued once the item has been inspected and the cause of the fault determined. Where a fault is found to exist a replacement like for like item will be offered. 12.9 We reserve the right to reduce the value of the credit where bad handling and/or misuse by the Customer is evident. 12.10 It is your responsibility to advise us at the time of ordering of any non standard delivery circumstances that may apply, as any additional delivery charges will be passed on. Vehicle access restrictions and tight spaces and stairways to properties above ground level would be examples but if in doubt advise us. Please ensure the Customer is aware of the size of any item ordered and that access is available. We will not accept returns in the event that the Customer cannot get them into their property. 12.11 Full payment must have been received from the Customer by you prior to placing your order with us. 12.12 We will not communicate with the Customer between Order Acknowledgement and proof of delivery unless the Customer has requested an SMS text message. 12.13 We will not be held responsible for any item delivered direct to a residential address that has not been paid for in full. Notwithstanding any provision which may suggest the contrary in these Conditions, the Goods are at the risk of you from the moment they are delivered or due to be collected from our premises and from such date until the date of payment as defined in Condition 6 you shall be in a fiduciary relationship with and be the agent of us in relation to the Goods. 15.2 require you to pay our additional delivery charges and to pay a reasonable storage fee and administration fee to be determined by us which shall apply at the expiry of three days from the date you are told that the Goods are ready for dispatch or immediately if you fail to accept delivery. 15.3 Notwithstanding Condition 6.1, we may invoice you on or at any time after the date upon which the Goods were originally to have been delivered in which event the provisions of Condition 6.2 will apply. 16.1 Goods may only be returned to us if you have obtained our prior written consent first. 16.2 Items to be returned to the factory for whatever reason will not be collected by our carrier without a valid collection note, issued by us. Our carrier will not accept goods unless the item is packed adequately for transportation, preferably in the original packaging. 17.1 We reserve the right to invoice for Goods ordered but not delivered due to your delays. 17.2 If the delivery of Goods are refused to a Delivery Address specified by you, we reserve the right to charge for the re-delivery. We shall not be liable for any consequential loss, loss of profits or special loss arising out of any breach of condition, warranty or contract on our part in respect of the Goods or the delivery or non-delivery of the Goods. Our liability for such breach in respect of the Goods shall be limited to the net invoice value or at our absolute discretion to the replacement of the Goods. 19.1 No liability whatsoever shall be incurred by us in respect of any representation made by us or our agents to you or to your agents before the Order Acknowledgment was sent where such representation related or referred in any way to (i) the correspondence of the Goods to any description or (ii) the quality of the Goods or (iii) the fitness of the Goods and for any purpose whatsoever. 19.2 No liability whatsoever (other than as expressly set out in these Conditions) shall be incurred by us to you in respect of any express term of the Order whether a condition, warranty or intermediate stipulation (including any liability arising from the breach of such term) where the said term relates or refers in any way to (i) the correspondence of the Goods to any description or (ii) the quality of the Goods or (iii) the fitness of the Goods for any purpose whatsoever. 19.3 All implied terms conditions or warranties whether statutory or otherwise as to (i) the correspondence of the Goods to any description or (ii) the satisfactory quality of goods provided as part of the Goods or (iii) the fitness of the Goods and for any purpose whatsoever (whether made known to us or not) are hereby excluded from the Order Acknowledgment (other than as may be expressly set out in these Conditions) to the maximum extent permissible by law. 19.4 We do not seek to exclude liability for death or personal injury caused by our negligence, nor (where you deal as a consumer within the meaning of Section 12 of the Unfair Contract Terms Act 1977) to exclude liability for breach of the obligations arising from Sections 2 to 5 and 13 to 15 of the Supply of Goods and Services Act 1982. 19.6 We reserve the right to make a reasonable charge for providing swatches. constituted authorities or for strikes, lock outs, break downs of plant or equipment or any cause (whether or not of a like nature) outside of our direct control. You acknowledge that we may wish to use the services of a credit reference agency before accepting an order for goods and expressly authorise us to furnish such agency with information concerning you as we have in our possession. Nothing in these Conditions shall affect the Customer’s statutory rights. The contract formed by these Conditions and the Order Acknowledgement shall be governed by and construed in accordance with English Law. Any disputes arising out of these Conditions shall be submitted to the non exclusive jurisdiction of the English Courts. The Parties do not intend that any of the Conditions will be enforceable by any third party by virtue of the Contracts (Rights of Third Parties) Act 1999.